Tragic Tony Hancock was possibly Britain's greatest-ever comic genius. Magical, droll performances, ably supported by the likes of Sid James and wonderful Ray Galton and Alan Simpson scripts. 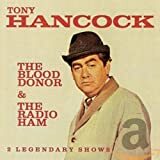 Tony Hancock was born in Hall Green, Birmingham, England, on May 12th, 1924, and by the time he was 35 was the most highly regarded comedy performer in Britain. The first big break for Hancock was on 'The Ralph Reader Gang Show', and he then appeared on the BBC on radio and TV - beginning with top radio shows 'Workers' Playtime' and 'Variety Bandbox'. Tony Hancock's first TV appearance was in 1950 in 'Flotsam's Follies'. The next year saw Tony Hancock in the hit radio series 'Educating Archie'. Also in 1951, he was a regular on light entertainment TV show, 'Kaleidoscope'. 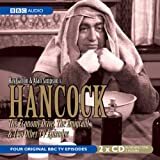 1954 was to be the biggest year of Tony Hancock's career to date, however, as he was to be the star of 'Hancock's Half Hour' radio series, and then, in 1956, it also became a TV series, and continued on the radio as well. Tony Hancock also found time to star in 'The Tony Hancock Show' on the fledgling ITV television station in 1956 and 1957. By the end of the 1950s, Tony Hancock was a household name for his radio show, and was the first star on British TV to earn £1,000 a week. But, Tony Hancock had a self destructive personality, though perfection seeking drive. 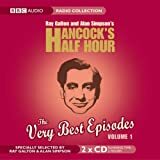 He fretted that his 'Hancock Half Hour' co-star, Sid James, and he were becoming like a double act, so he cut his ties, and did the same with writers Galton and Simpson. Starring in too few films for his talent, Tony Hancock was outstanding in the 1960 comedy, 'The Rebel', where he plays a hopeless artist, who exploits the talents of a friend for his own ends, and soon believes he's a genius. Sadly, Tony Hancock's lugubrious persona on screen was all too real, as he was the epitome of the sad clown, and took his own life in Sydney, Australia, on June 25th, 1968. Another comic genius, who had demons of his own, Spike Milligan, said of Hancock in 1989: "Very difficult man to get on with. He used to drink excessively. You felt sorry for him. He ended up on his own. I thought, he's got rid of everybody else, he's going to get rid of himself. And he did." In one of his suicide notes Tony Hancock said, "Things just seemed to go too wrong too many times". But, even that wasn't true, as most of it was of Tony's making. Like George Best, Jimi Hendrix, and countless others, Tony Hancock probably couldn't live up to the genius he had created.